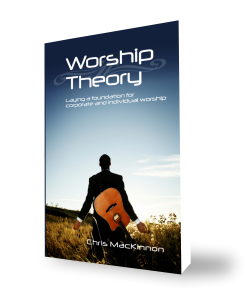 Let’s start thinking about and discussing worship and worship leading, shall we? I mean, let’s get past all the “theory” talk for a while and really get into the meat of it. Of course, this is going to take some effort from you, the readers. As of today there are 516 hits to this site, but a total of 17 comments to all of my posts. So c’mon, gang, let’s get serious. Let’s talk. I’m know you don’t want to just hear my ramblings. Let’s start with something basic to get the channels open. Here’s the day’s question: How do you choose your songs? As much as we like to think we all go about this the same way, or for as many times as we’ve heard how to do it, we really are different in approach to the songs we use. Now, I’m not asking you, “How do you choose your songs for each service?” That is a separate topic for discussion. You see, somehow we all come to a conclusion as to which songs we will even consider for a service. Whether it is from a denominational hymnal or an approved library of music, if it is the top five songs each week from CCLI’s website, or if you sing three songs EVERY week with one or two others thrown in, you have a predetermined method for narrowing your song options. After all, there are hundreds, if not thousands of songwriters around the world who are blessing God’s church with expressions both traditional and contemporary. But how do you choose which ones you will actually select from. Here’s a personal example. I like to listen to some of the modern worship artist CDs from around the world. But sometimes I’ll only choose one or two songs from that disc to use in church, and they’re usually not the one’s that everyone else is choosing. Style – Let’s face it, each church, if not each worship leader in a church, has it’s/his/her own style, and selects songs that fit that style. These are my top three. There are times when other people give me a song that haven’t heard before, and as much as they are blessed by it, I just don’t feel right taking to a congregation. For example, the first song on Chris Tomlin’s “Arriving” album, “Indescribable,” was picked up by a lot of song leaders and churches. But why? Was it because worshiptogether.com had the sheet music up for free for a limited time? Was it because other worship leaders were doing it, so they felt they needed to keep up with everyone else? Personally, I would choose several other songs off of the same album long before I would introduce “Indescribable” to a church; not because I don’t like the song, but because it doesn’t align with other factors that I have come believe as more important than what Worship Together, CCLI, Worship Leader Magazine, or anyone else tells me – at least for now. The Pastor’s philosophy of ministry. How can I compliment it? What songs will the congregation as a whole connect to God with? I must sincerely worship not just PRODUCE. I don’t pick songs just because I like them. I choose them because they contribute to the overall service. So, I’ll throw the question out one more time: How do you choose your songs?